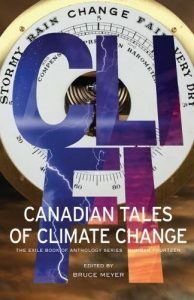 Exile Editions’ latest anthology, CLI-FI: Canadian Tales of Climate Change, includes stories from SF Canada members Holly Schofield, Geoffrey W. Cole, and Nina Munteanu. Derek Newman-Stille reviews the book, and several individual stories, on the Speculating Canada blog. To find out more or pick up a copy, visit the book’s Exile Editions or Amazon page.